Home > Home > Ultimate Guide To The Best Vacuum Cleaner 2019 In Australia! In the quest for more simplicity, we’re focusing on improving the efficiency of our housework. My husband, the wannabe Zen monk, made a great observation that we spend too much time struggling to make things work for us. Nothing could be truer in regards to our vacuum. We’ve used several vacuums over the years and found that when it comes to top vacuum cleaners it can be hit and miss. We’ve had vacuums that were cheap and lasted us for years, but we’ve also paid a fair price for the ‘most powerful vacuum cleaner’ that simply couldn’t handle the task. We now have hard floors over the entire house, and while this makes vacuuming easier, we did have to replace our existing vacuum to suit this house! Finding the best vacuum cleaner is not an easy feat, there’s a lot to consider. But don’t fear. We’ve put together everything you need to consider with unbiased vacuum cleaner reviews to help you out. 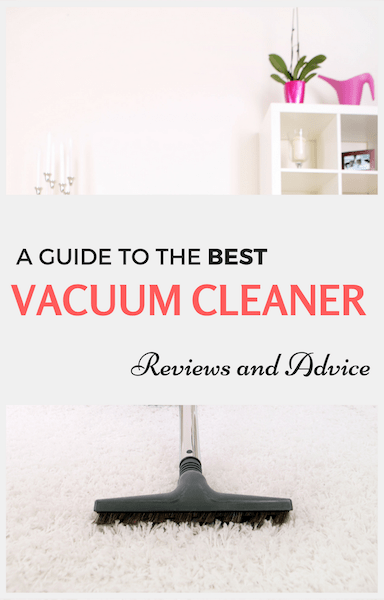 If you’re sick of sifting through all the top rated vacuums out there then stop. Want to see the top vacuum cleaner now? Click here to see the best vacuum cleaner. This article’s vacuum reviews will focus only on the best vacuum cleaner Australia 2019 deemed suitable for day to day cleaning of the home. We focus on robotic vacuums in this guide. For now, here’s everything you need to know about finding the very best price vacuum cleaners. 5.1 Does your home have stairs? 5.2 Hard floors or carpet? 5.3 Do you have animals? 5.4 Which attachments will you need? 5.5 What is your budget? Use the following chart to compare vacuums among the best rated vacuum cleaners on the market. We will do a further vacuum comparison in the vacuum reviews 2019 below. Handy reference list – see all vacuum cleaner reviews below! There are a lot of different types of vacuum cleaners, but what is the best vacuum cleaner for home? And which vacuum cleaner should you get? The answer will be different for all of us. In this article, we have narrowed vacuums down to the 3 main types of vacuum cleaners that are used for day to day cleaning at home – barrel, upright and stick vacuums. Below we will discuss the pros and cons of each type, as well as other things you need to consider when looking at the best-rated vacuum cleaners. Note, this does not include robot vacuum cleaners. You can find our robot vacuum cleaner guide here. When we think ‘vacuum cleaner’, many of us immediately think of a barrel style. A barrel vacuum cleaner is one that sits low to the ground with an attached hose which contains the head of the vacuum. They’re designed to follow the user being towed by their wheels. Individual barrel vacuums can differ tremendously. Some of the cheapest and most expensive vacuums are barrel, and the quality can differ substantially. Barrel vacuums are generally easier to use when cleaning difficult to reach places. Many also feature fabulous suction making them the best vacuum cleaner for pet hair. They can, however, be bothersome in smaller homes when navigating stairs due to their cumbersome design, even if they are the most powerful vacuum. It’s important to be aware of the quality of the filter as this will reduce the amount of airborne dust from the vacuum. Upright vacuums have the advantage of being part of a single unit, with the handle up top and the head down the bottom. They’re generally best for cleaning large carpeted areas and are the best vacuum for carpet that is more difficult to clean, such as shag. Most are bagless and they can also be quite adaptable, but this does depend on the make. Upright vacuum cleaners do have a bit of a reputation for being cumbersome and difficult to use. Their weight distribution can feel odd and as they’re heavier and bulkier, they’re not always great at stairs and crevices. This is a generalised statement though and many also include attachments to offset this. 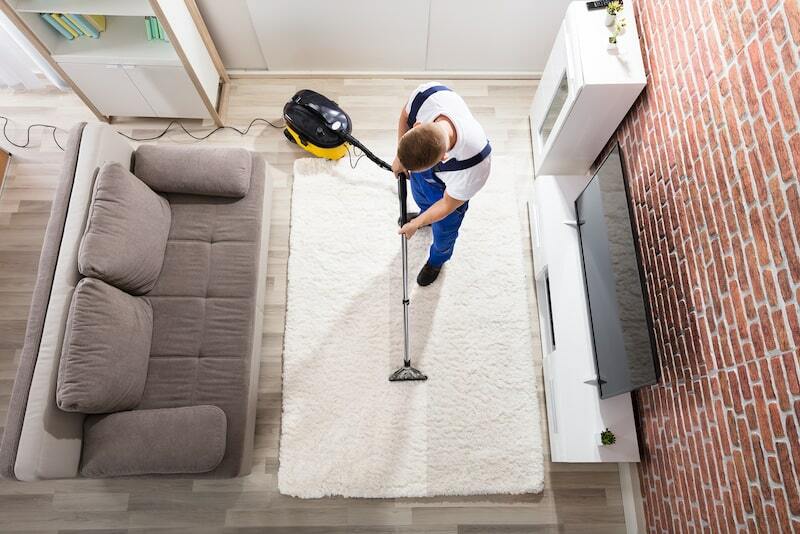 It wasn’t long ago that the idea of a stick vacuum cleaning the entire home seemed like a joke – but now no one is laughing. Stick vacuums have gone from being used to clean up spills to light weight vacuum cleaners capable of cleaning the entire home. 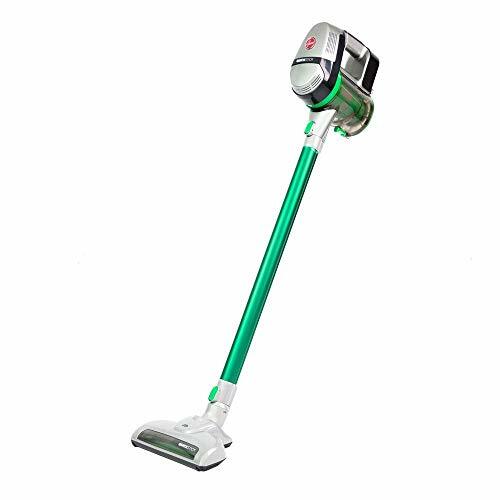 The best stick vacuum cleaner Australia offers is a cordless stick vacuum. It is a bagless hand vacuum cleaner that runs on battery power. They need to be emptied and charged after every use, but their convenience far outweighs any con – they’re now the best small vacuum cleaner you’ll find. They’re flexible handheld vacuums which makes them great on stairs and can feature great suction and versatility. The most important aspect of a stick vacuum is battery life, and while there are some great options out there, some variability still exists. This is why it’s important to compare with other stick, barrel and upright vacuum cleaner reviews to consider different models and how each one could work for you. Bagged vacuum cleaners usually hold a lot of waste before needing to be replaced. They also minimise mess by making it easier to dispose of waste. The major downside is that you need to replace the bags. For some vacuums, these can be cheap, but for others, they’re more expensive. This also leads to more waste overall – something we should all be trying to avoid. A bagless vacuum cleaner obviously has its advantages – namely that you don’t have to continually purchase new bags. All that it takes is to empty the container that holds the waste into the bin. The lightest vacuum cleaner is usually bagless. It’s also easier to see when the vacuum needs to be emptied. While this is good, the not so good is that they can be more difficult to empty. Unless you have a deep bin, dust inevitably escapes into the air and spreads. We usually need to clean up after emptying our bagless vacuum cleaner into the bin. 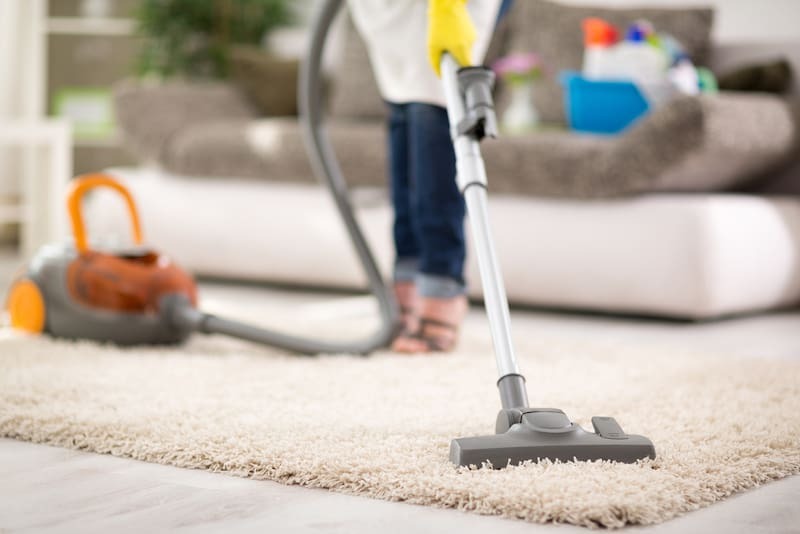 Purchasing one of the best-rated vacuum cleaners can be quite an investment, so it’s important that you know exactly what your needs are so that you can ensure the vacuum cleaner meets them. Do some examination of your own situation below to help decide from the best vacuums. Stairs by design are tricky places to vacuum, and finding the right vacuum cleaner for them can be even trickier. Love them or hate them, barrel vacuum cleaners generally do the best job on stairs. This is because while they can be cumbersome, their long hose and attachments make cleaning difficult corners easier. Stick vacuum also does a great job on stairs due to their heads being more flexible and maneuverable. They’re also very lightweight which makes carrying them upstairs even easier. I’d steer clear of upright vacuums as they’re not great at corners and they can be quite bulky. Most people have both – in which case you want to be sure that the vacuum cleaner you use has an option to be used on the hard floor. The best vacuum for hardwood floors is one with a brush with soft bristles, and you can find this on all types of vacuums. Suction isn’t so important in the best vacuum for wood floors or tiles but is super important for carpet. The best vacuum cleaner for pets depends on a few things. Some animals shed more than others, but all pet owners will understand the struggle of removing pet hair from every corner of their home. Homes with animals require vacuum cleaners with a lot more suctions and resistance to being clogged by fur. Unfortunately stick vacuum cleaners simply fill up too quickly for pets that shed a lot and therefore don’t make the best vacuum for pet hair. Many upright and barrel vacuum cleaners do a fabulous job of lifting pet hair from carpet and furniture. You could combine this with the best bagless vacuum cleaner as pet hair can quickly fill up a vacuum. You can also find attachments for cleaning animal hair. Which attachments will you need? Everyone will use their vacuum cleaner differently, so how will you use yours? If you plan on cleaning the couch and car as well, attachments for crevices are essential. Regardless of how good your vacuum cleaner is or if it’s the best vacuum brand, to work well as a handheld vacuum, it will need adapters. You can also find rubber attachments for harder to vacuum pet hair – often essential if you’re after the best vacuum for pet hair Australia offers. Before setting a budget, consider that a good vacuum cleaner is something we use every day. Therefore, we need to see the value in it. You may be looking for the best cheap vacuum cleaner Australia offers – but if you’re spending twice as long vacuuming, or worse, needing to replace the vacuum after only a year, you’re losing both time and money. Good vacuum cleaners don’t have to cost a fortune, but even so, you are better off investing in something that will work long term, unless your living situation is likely to change in the foreseeable future. More on this in our vacuum cleaners reviews. As every home is different and has different needs, we’ve structured the following reviews in a way that reflects this. For each type of vacuum cleaner, you’ll find the top 3 vacuum cleaner reviews on the Australian market. So what is the best vacuum cleaner? After reading about what each vacuum offers, you’ll be able to make an educated decision about which is best vacuum 2019 for your home. 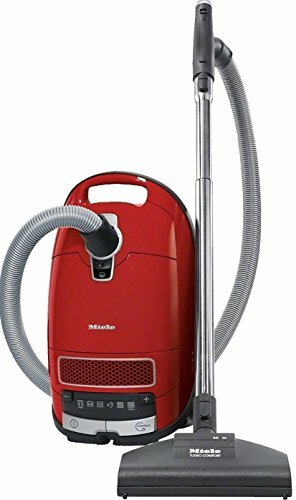 To start our list of best vacuum cleaners 2019, Miele is a top name offering highly regarded products with some of the best vacuum cleaner reviews. Regarded by many as the best pet vacuum, the Miele Complete C3 is the ultimate vacuum for pet owners with the ability to absorb odours and cling onto dust and dirt, making it the best vacuum cleaner for carpet. The design of the head allows for more flexibility when cleaning, and 3 accessories are hidden behind a panel which is easy to access at the press of a button. Attachments are perfect for cleaning furniture and other crevasses like stairs. The best part is that this vacuum picks up everything – yes everything. It also operates quietly and has floor lighting to increase visibility. The vacuum is bagged, however. This can serve as an advantage – not having bet hair floating everywhere when you empty it. Plus, at 4.5 L it’s a decent size. But the bags aren’t cheap and if you have a pet that sheds a lot of hair, they’ll need replacing more frequently. Also, although it’s meant to run quieter, it’s not what we would consider quiet. Simply put, this is a super high-quality vacuum. It’s by far one of the best vacuum cleaners for pet owners and the best vacuum cleaner for pet hair. It’s the best suction vacuum in our best vacuum cleaners reviews. Vacuum cleaner reviews would be incomplete without a mention of Dyson – we have several Dyson vacuum reviews on our list! You only need to read a Dyson vacuum cleaner review to see that the consensus is clear – Dyson vacuums are simply a pleasure to use and pack powerful and versatile designs. This particular barrel vacuum is one of the easier to use. In Dyson fashion, it’s easy to maneuver and packs super suction due to the cyclonic suction technology. 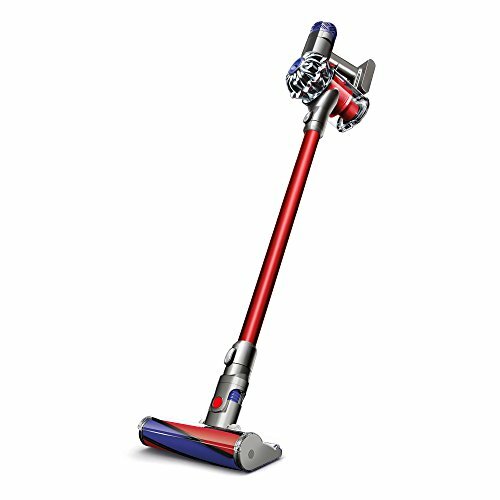 The wand is lightweight and adjustable and the vacuum glides easily over all floor surfaces. The bagless container can be emptied straight into the bin, without fear of the filter falling in with it. You don’t have to touch it either, it opens at the click of a button. So where does the Dyson lose points? Well, it’s inevitable that a great machine comes with a great price tag. This vacuum is outside of many peoples budget. However, the advantage is that there’s a 5-year guarantee on all items of the vacuum. Along with the filter that is removable and washable, this is one vacuum that will last. The next vacuum cleaners review is of the Electrolux Ultra Flex. This is the next best vacuum for dog hair and the best vacuum for allergies. Why is it the “ultra flex”? This is due to the numerous attachments that make this model so versatile. There are 4 attachments in total with each offering a different function such as deep clean on carpets and hard floors. The vacuum cleaner does have strong suction and great durability and performance. The clean is super thorough. There’s a handle at the top which allows it to stand upright still and as it’s bagless, you can easily see the amount of dust in the container. There’s also a level indicator to let you know when to empty it. The container is large and allows for long cleans. Inside the vacuum, air spins up to 140km per hour. There’s also a digital power indicator and the power cord can be retracted, reducing mess. It’s also lightweight and makes the best car vacuum with the right attachment. New parts can be quite expensive and they do recommend you change the filter annually – this can differ per household but since they’re washable, it’s recommended you keep them in great shape. The Electrolux Ultra Flex is among the best value vacs of 2019and best bagless vacuum cleaner Australia sells. The BISSELL Lift Off Pet Vacuum is the best upright vacuum for carpet – period. Some people simply need a powerful vacuum. If you live in a home with pets you’ll be familiar with this scenario. This vacuum does the best job of any upright vacuum for picking anything and everything up from the carpet, which includes the pet hair! Bissell vacuum reviews do highlight the great job it does on carpet. You’ll find two switches up top – a brush switch and an on/off switch. You need to switch both on for full suction for carpets – the secret to tackling pet hair. You can also adjust the power of the vacuum cleaner. It’s not the best option for hard floors as it’s bulkier and can leave a bit of dust behind, but some reviews have found it to work well for them – this is just our opinion. Another benefit of this upright vacuum is that you can lift it and use it more like a handheld – perfect for crevices around the house. You can also remove the parts and wash them to ensure they stay in tip-top shape. This is a bagless vacuum cleaner which does mean frequent unloading of the waste bin as it is on the smaller side, but at this price, you can beat the suction and durability of this vacuum cleaner. Definitely one to consider when deciding which vacuum cleaner to buy. With vacuums, there are brands we know we can trust time and time again. Hoover vacuum reviews reflect the fact that Hoover is just one of these brands. This is also the best budget vacuum cleaner on our list. While it may not be the most feature-packed vacuum cleaner on the list, the Hoover Essential is number 2 in upright vacuums because of its durability and ability to do what it says it does. This simple upright vacuum isn’t difficult to use. It’s relatively lightweight with a powerful motorised powerhead and great cyclonic suction. It performs very well with carpet – particularly on low pile carpet, but it’s not the best option for pet hair as it can easily leave this behind. You can use the pet tool attachment for a deeper clean but you need to do this handheld. It is quite flexible for a cheaper vacuum. There’s a switch that you can use to change from hard to soft floors and a dial to adjust the power level. It’s also a great budget option and the best cheap vacuum cleaner. 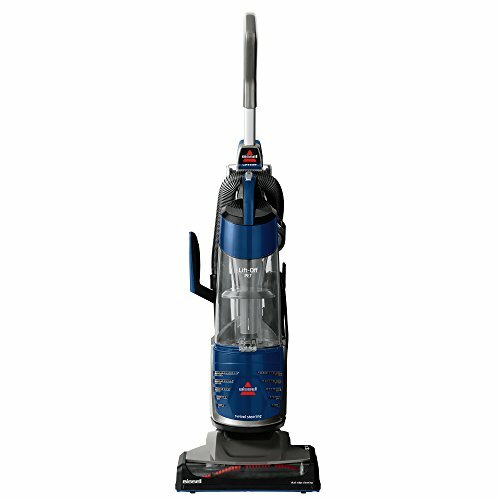 This is a great upright vacuum from a reliable brand, perfect for day to day use. Shark vacuum cleaners always score well. The Shark Rotator is the ultimate upright vacuum for versatility, and a top scorer among our other bagless vacuum cleaner reviews. This shark vacuum is corded with a good cord length that wraps around the back. Unfortunately its not retractable. If cordless is your type, you can check out it’s cordless counterpart (Shark Rotator Cordless Vacuum) here. The inside contains 3 filters. There are loads of attachments that come as standard, including a dusting brush, pet brush, wide upholstery and a trolley to wheel the vacuum around. The power and brush roll button are easy to use. The brush roll is used for cleaning carpet, and for hard floors left off. You can also extend the handle easier and its great for all places. It’s a very easy to use vacuum cleaner with a rotatable power level. It’s also smart – there’s a spot for every part so nothing is left hanging and other attachments can be attached to the caddy. If you need versatility this vacuum is great. With all the attachments its ready to tackle any scenario, be it on floor or carpet. However, it is heavier and not ideal for properties with stairs, and you can not use it as a handheld vacuum. For a single level properly this vacuum cleaner is perfect. 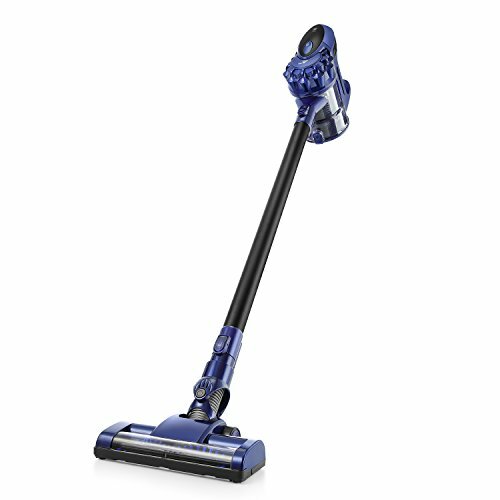 The Dyson pet vacuum V8 does what many other stick vacuums have failed to do – prove that they can be just as powerful and capable as a normal vacuum cleaner. This is exactly what we expect from a Dyson vacuum cleaner and best stick vacuum Australia offers. The V8 is an all-round solution. Among the best cordless vacuum cleaner Australia offers, it’s able to be used straight out of the box, with a couple of easy attachments and you’re good to go. Included is a super soft bristle which can be switched on and off for hard floors and carpet. The vacuum features a single spinning brush which is agile and well equipped. The best part of the Dyson handheld vacuum is the quality, which is expected of one of the best vacuum cleaner brands. 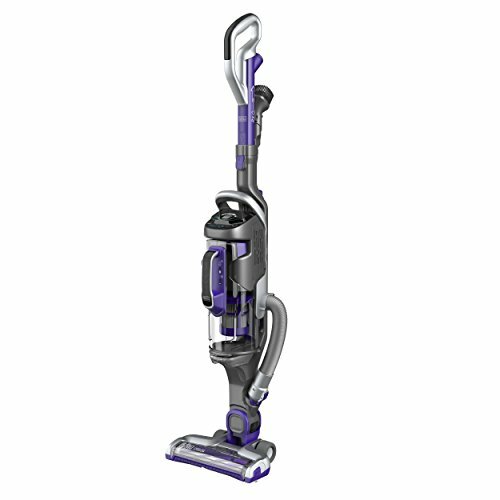 The vacuum can pick up significantly more dirt and dust than the other leading stick vacuums. You also have the flexibility to choose how powerful you have it set – the battery life will depend greatly on the power setting. On the maximum setting, the battery can last just under 10 minutes, and this increases up to a fabulous 40 minutes on the top setting. It’s a great choice to substitute a normal vacuum cleaner as it’s safe and reliable and proven to last, so while it’s not the cheapest it is the best value vacuum cleaner. Having said this quality doesn’t come cheap – the vacuum cleaner is very expensive, and at this price, you’ll want to make it your number one vacuum. 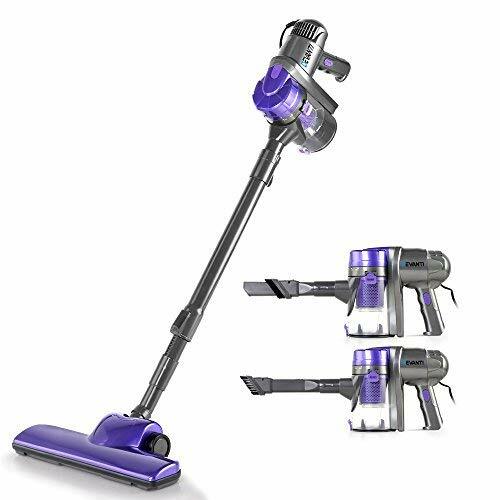 The Dyson V6 was a game changer when it was first introduced as it did what no stick vacuum had done – clean just as well, if not better, than a full sized vacuum. Since the V8 came onto the market, the V6 has been overshadowed, but it’s still a great option and certainly a more budget-friendly one. It makes sense to compare the V6 to the V8. The V6 retains some of the best elements of the V8, such as being customisable for hard/soft floors, able to be used as a handheld vacuum and with a fast charge docking station for mounting the vacuum. Everything can be removed, cleaned and placed back again simply. However, compared to the newer Dyson V8, it does fall short on battery life. You’re only likely to get 20 minutes of power from a single charge, but the power is consistent during this time. The V8 is more powerful of the two, but this doesn’t really result in any noticeable difference. 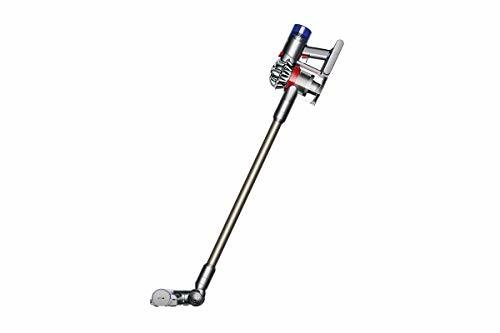 For such a reduced price, this is still a top choice as the best stick vacuum Australia 2019. Hoover is a trusted brand with some great products, so it’s interesting to see how their stick vacuum compares to others on the market. One thing is for sure – this product has already taken off and is predicted to go as it’s more expensive counterpart, the V6 Dyson. This vacuum cleaner is a great option for soft floors, with a turbo brush head and powerful suction and that can also be used on hard floors. It’s slightly less versatile than the Dyson but still customisable. You are able to remove the long attachments and use the vacuum as you would a handheld with the same great suction. But for the best suction, it’s definitely a better idea to purchase an attachment. Battery life is good, and there is a station attachment for you to hang the vacuum to reduce overall mess. You also get a crevice tool for harder to reach places. Overall this is a safe choice for the best stick vacuum 2018 Australia offers from a trusted and respected brand. A great vacuum for pet hair, this vacuum maneuvers well thanks to a swivel mechanism. The vacuum is upright but cordless and powerful, and can run for up to 60 minutes without needing to be charged. This fact has helped it be regarded as the best cheap vacuum Australia sells for properties with stairs and pets. Mentioned in the cylinder vacuum cleaners reviews, the special design of this vacuum means it picks up additional pet hair thanks to a beater bar, and extra features include a touch screen and leaving a scented trail of fresh linen. Another top vacuum is the PUPPYOO WP536. Another great stick vacuum, this vacuum cleaner has two levels of suction so that it can provide additional power for those times where it’s needed. Included with the vacuum is a station dock and the ability to use it as a hand held vacuum cleaner. Charge time is around 3 hours which gives you 30 minutes of use. This isn’t amazing but pretty much on par with other stick vacuum cleaners. The vacuum is powerful enough for tackling daily dirt and particularly good for properties with stairs. Another top rated stick vacuum that works well as the best handheld vacuum cleaner is the Devanti 2 in 1. 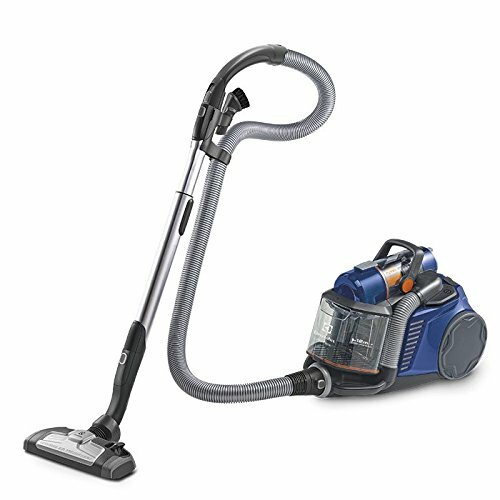 At only 450 watts it’s not the most powerful vacuum cleaner on our list, but for day to day mess works quite well. Something different about this particular brand of stick vacuum is that, unlike most stick vacuums, it is corded. This has the advantage of offering unlimited usage without the limitations of battery life. However it does mean plugging and unplugging it into an electrical socket is required – something that could easily become bothersome. The cord is quite long however at 4 metres. The vacuum is also a great option for cleaning ceilings easily due to it’s lightweight. We hope you’ve enjoyed our list and found the best vacuum Australia offers for you. For more reviews, read our guide to buying the best robot vacuum here. Looking for other home appliances? Check out more product reviews here.